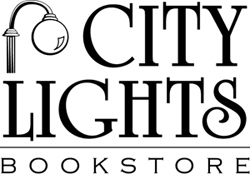 Kerry Madden returns to City Lights Bookstore to read her new children’s book, Ernestine’s Milky Way on Tuesday, April 16th (2019) at 4 p.m. In Maggie Valley, North Carolina, in the 1940s, Ernestine, who is five years old and a big girl, carries fresh milk to needy neighbors through thickets, down paths, and over a barbed-wire fence, despite her fears. Kerry Madden is the author of the Smoky Mountain Trilogy, which includes Gentle's Holler, Louisiana's Song, and Jessie's Mountain. Gentle's Holler was included on the Bank Street College Best Children's Books list. Her first novel, Offsides, was a New York Public Library Pick for the Teen Age. Up Close: Harper Lee made Booklist's Top Ten Biographies for Youth list. Her first picture book, Nothing Fancy About Kathryn and Charlie, was illustrated by her daughter, Lucy. Kerry directs the creative writing program at the University of Alabama-Birmingham.